Electric Legs, found objects, 13 x 7 in. MARITA DINGUS was born in Seattle WA in 1956. She attended Tyler School of Art at Temple University in Philadelphia (BFA, 1980) and San Jose State University (MFA, 1985). Dingus currently lives and works in the state of Washington. 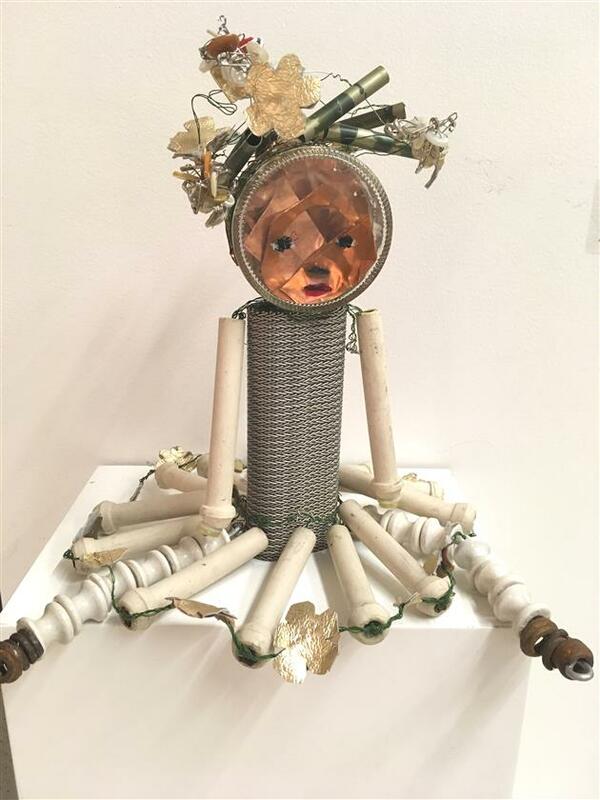 Button Up, metal, glass, film canisters, 22 x 9 x 4 in. Chime In, metal, glass and fabric, 26 x 10 x 5 in. Red in the Face, fabric and leather, 29 x 12 x 5 in. Copper Baby, mixed media sculpture, 10 x 5 x 7 in. 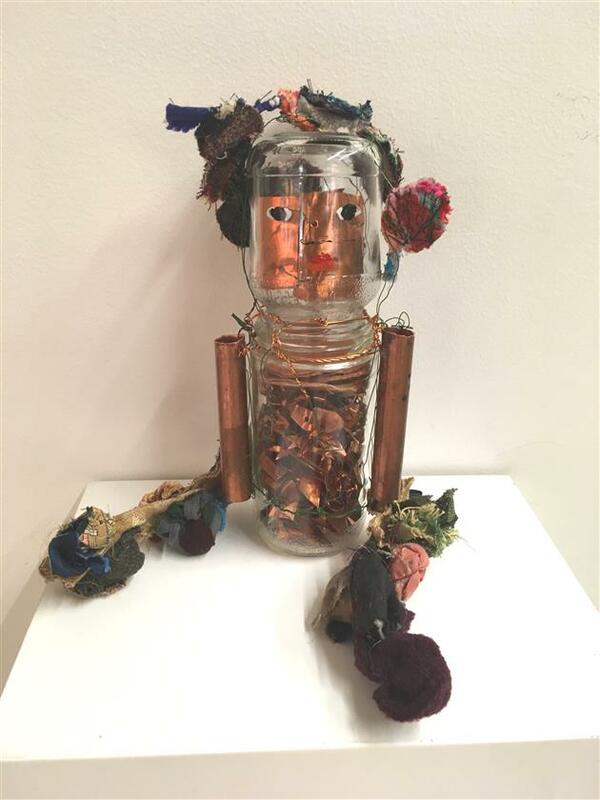 Action Figure, metal, glass, fabric and wood, 36 x 12 x 7 in. 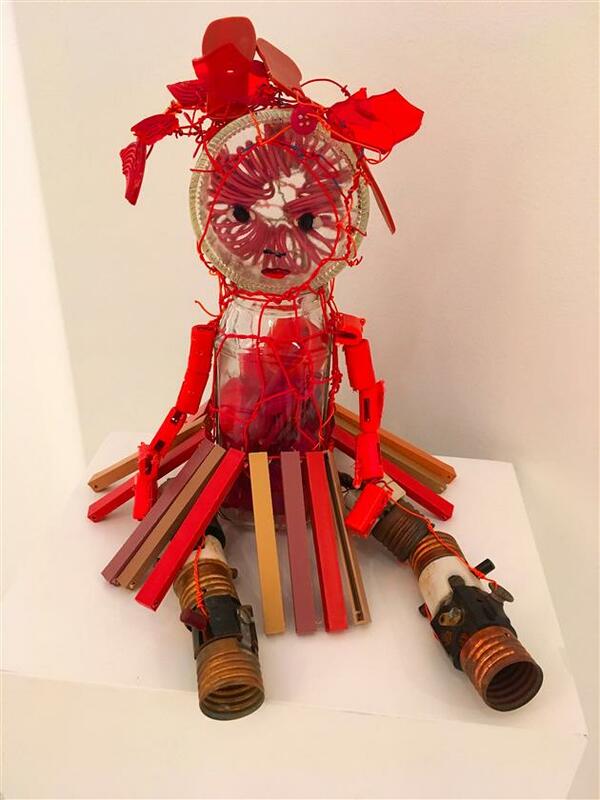 Girl in White Skirt, mixed media sculpture, 12 x 8 x 10 in.